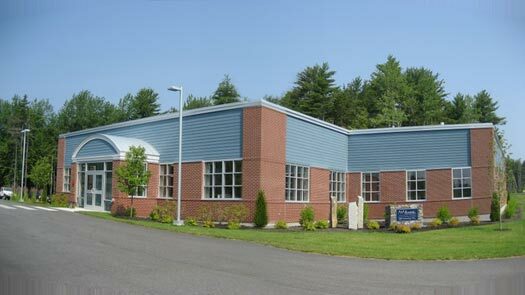 After 17 years in its old laboratory facility, Katahdin completed a smooth transition to a new facility on December 7, 2006. The facility was designed and built from the ground up to meet Katahdin’s specific requirements. While the new facility is not a "LEEDS" certified building, many LEEDS specifications and materials are integral to the building. Lighting is provided by high efficiency florescent lights which are activated by motion sensors. To reduce air conditioning requirements, the roof is a white TPO membrane. Katahdin purchased new reduced flow/velocity hoods which allow for a face velocity of 60 fpm versus normal hoods which require 100 fpm. These hoods and all HVAC systems are integrated into a building direct computer control system which allows for the building to be in shutdown mode at night. The system may be monitored off-site via the web. Additionally, the building control system monitors the electrical usage and allows for power shedding during summer peak 15 minute demands. Non essential loads, such as office areas will be the areas to be shed in an orderly manner and then brought back up after the 15 minute peak has passed. The facility encompasses separate laboratories for sample receipt, trace metals preparation, inorganic sample preparation and analysis, trace metals analysis, wet chemistry instrument analysis, Extractables (GC and GC/MS), Volatiles (GC and GC/MS), low-level Mercury analysis, and Food/Microbiology testing.